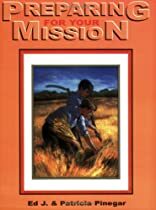 Preparing For Your Mission was written by Ed J. Pinegar and Patricia Pinegar. Preparing For Your Mission was published by Cedar Fort. About Patricia Pinegar (Author) : Patricia Pinegar is a published author. Published credits of Patricia Pinegar include Preparing for Your Mission.